The rural-urban divide in the United States is pretty far reaching, with deep political, societal, economic, and cultural differences between rural areas and cities. 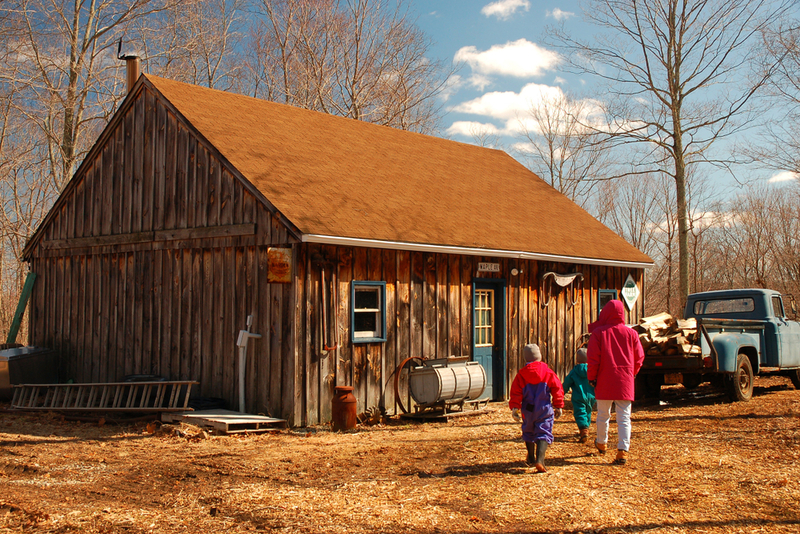 Often, rural communities seem to get the short end of the stick—higher poverty rates, less job growth, and lower rates of literacy and college education. But rural communities actually outperform urban centers on many metrics of successful entrepreneurship. Twelve Federal Reserve Banks surveyed 10,303 small businesses (businesses with fewer than 500 employees), and the results might surprise you. Rural businesses are smaller and grow more slowly, the data from the Small Business Credit Survey (SBCS) shows. But they’re also more likely to be profitable than their urban counterparts and have longer survival rates. Plus, entrepreneurs in rural areas have an easier time getting business financing, which is an important factor in scaling a business. 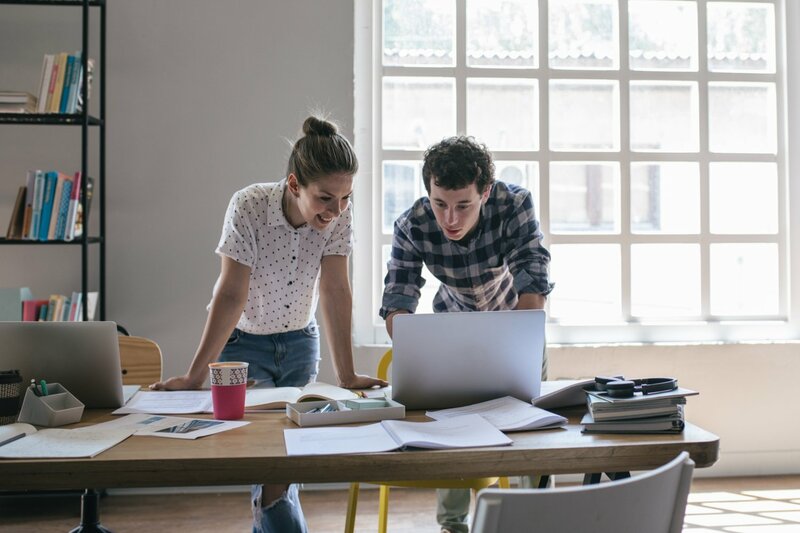 If you’re launching a new business, planning to expand an existing one, or are thinking of relocating, this data could inform your next move. We break down the most important findings from the survey. Plus, you’ll hear from real entrepreneurs about the pros and cons of operating a business in a small town. According to the most recent Census data, only 17 percent of businesses operate in rural communities (defining “rural” as any town with 50,000 or fewer inhabitants). At the same time, rural areas cover 97% of the nation’s land area. This means rural businesses sparsely dot America’s small town landscape, whereas most businesses are concentrated in urban centers like New York, San Francisco, and Los Angeles. Lots of people assume that businesses in urban areas are more successful than rural businesses. Urban centers have a bigger customer base, labor pool, and critical mass of other entrepreneurs and businesses. And urban economies are more dynamic, and more money flows through metropolitan areas. But more and bigger aren’t always better. Urban businesses also have to contend with business killers: competition, steep operating costs, and high taxes. Even megacorps like Amazon and Salesforce are relocating a portion of their operations to smaller cities and towns. 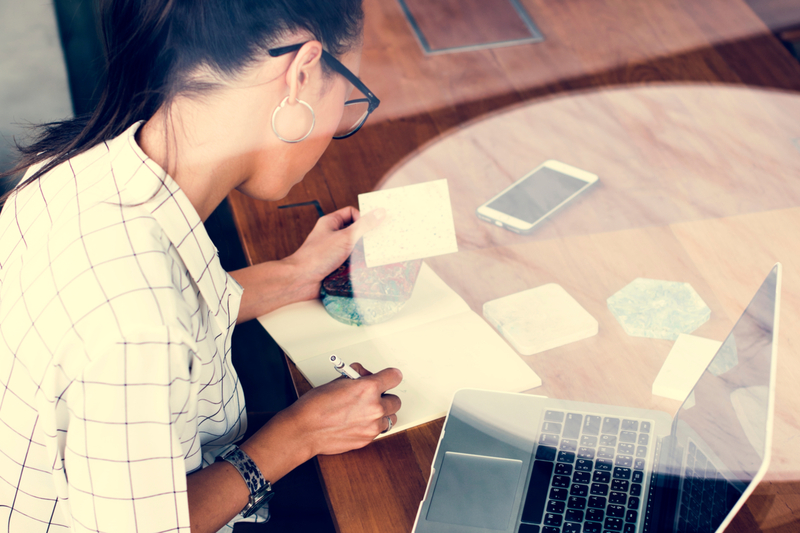 With the rapid growth of online businesses and freelance businesses, doing business from anywhere that has an internet connection is now possible for lots of entrepreneurs. But location has a direct impact even on home-based, ecommerce, and internet companies. 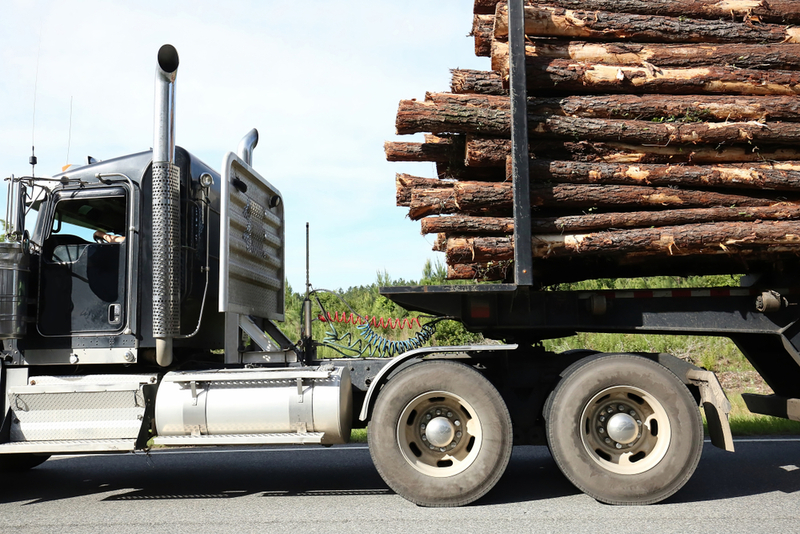 Location affects local labor costs, the cost of supplies and inventory, and other expenses like business insurance that vary regionally in price. Another big location-dependent factor is salary. An entrepreneur in New York City has to bring in a lot more income to support themselves compared to a freelancer in Ligonier, Penn. Many entrepreneurs are choosing to relocate to rural parts of the country so they can keep more of their business revenue and provide a quality lifestyle for themselves and their families. Along with lower costs, a rural environment comes with other benefits as well—more stability, a more loyal customer base, and easier access to financing. Let’s dig more into these benefits with the findings of the Small Business Credit Survey. 1. Rural businesses grow slower, but are more likely to be profitable. With access to a larger customer base and higher pricing margins, you might think that urban businesses would bypass rural companies in virtually every financial indicator. But rural businesses have surprisingly strong revenue and profit numbers. The majority of rural businesses surveyed fell into the $100,000 to $1 million annual revenue bracket. 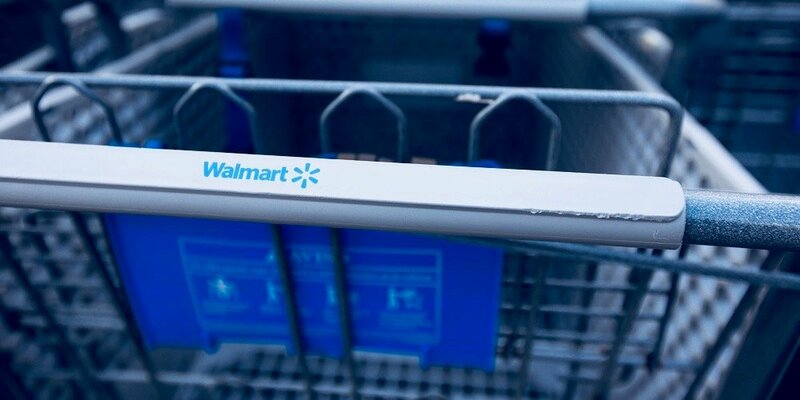 They lagged two percentage points behind urban businesses in the $1 million to $10 million range, and lagged one percentage point in the over $10 million revenue range. 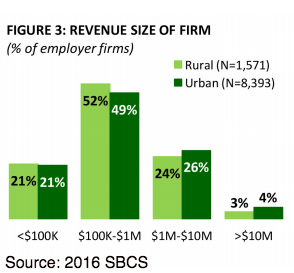 Urban companies slightly edge out rural companies at the top end of revenues, but the exact same percentage of rural and urban businesses—21%—are in the under $100,000 revenue range. When you account for the lower cost of living in rural areas, rural businesses are actually holding their own against big-city businesses in terms of business revenue. You could even say that they are more successful than urban businesses if you define success as producing enough revenues to secure a good livelihood from the business. Profitability is even more important than revenue. You could have millions of dollars in revenue, but if costs are too high, then you won’t turn a profit or even break even. Rural companies are slightly more likely to be profitable or to break even compared to urban companies. Profitability ultimately depends on whether you can run a “lean” business. The more expenses your business has, the lower your take home profits will be. The five largest expenses for business are insurance, advertising, taxes (income taxes, property taxes, etc. ), staff, and the owner’s salary. Virtually all of these expenses are lower when you operate in a rural area. I moved from Long Island, New York City to Prospect, Virginia in 2007 because of the high cost of living in NYC. I had worked as a marketing executive in New York City, but because rent and taxes are so high there, starting my own business and working from home wasn’t really possible. When I moved in 2007, I was able to obtain freelance clients worldwide. The internet frees me up to work with clients anywhere, any time, from the comfort of my beautiful rural home. The cost of living and taxes are low, and the quality of life is high. Relocating your own business like Grunert did could help you save thousands of dollars on operating costs. Industry also impacts a business’s operating expenses and overhead. In the SBCS survey, nearly a quarter of urban businesses were in professional services—this includes businesses like law firms, doctor’s offices, and accountant’s offices. Such businesses have high labor and liability insurance costs, which bites into their profits. In contrast, most rural businesses surveyed were in retail, consumer goods, and consumers services. These types of businesses tend to have lower costs. My partner and I lived in NYC before relocating to Southwestern Pennsylvania. When we started our store, we did so on a shoestring budget, and it would have been simply impossible to make our money stretch as far in NYC. Being outside of an area with critical mass has definitely forced us to be more creative and extend our sales reach outside of our community, but ultimately being where we are has helped us tremendously. Not only is it more affordable to live and work here, but we are surrounded by a vibrant merchant community that is supportive and camaraderie oriented. While most of our clients and partners are smitten with our rural location, not everyone has been so warm. In regards to the art world, we have seen a few industry professionals turn their noses up at our business. I got the impression that there was stigma because we weren’t in NYC, LA, or Miami, and that our accomplishments were somehow less than our big city contemporaries. But over the years, the art world has destabilized. There is a growing number of galleries that are fleeing the big cities for cheaper rents and to capitalize on the growing market of internet sales. Andrew’s story proves that even if your business is in an industry that’s historically been concentrated in cities, you could be one of the first to branch out and settle somewhere more affordable. 2. Rural businesses have an easier time getting financing. Money is the number one obstacle in growing a business. Small business owners need access to affordable capital to accomplish their goals. The survey shows that rural businesses are able to get business loans more easily than urban companies. The SBCS showed that fewer rural businesses faced a shortage of funds for expanding, making debt payments, covering operating expenses, and purchasing inventory. But when rural businesses did seek financing, they were more successful. 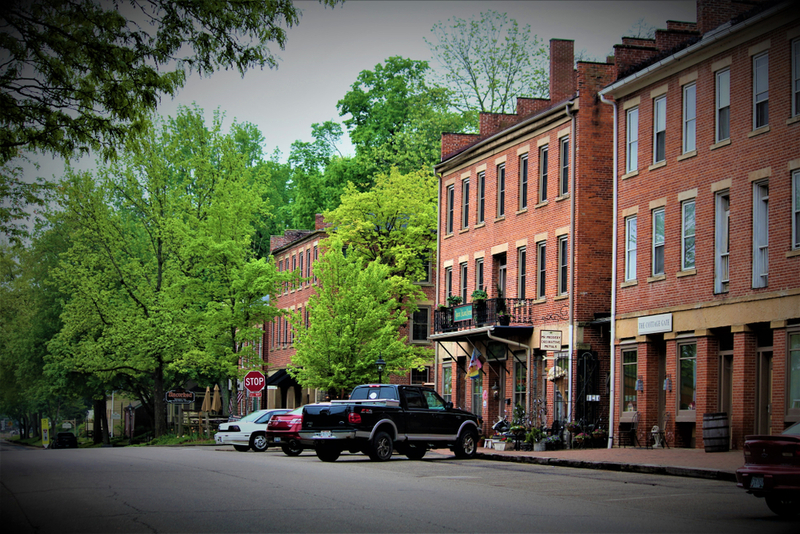 Eighty percent of rural small business owners said they received all or some of the financing they applied for, compared to 75% of urban business owners. While this difference might seem small, it’s significant when you consider that there are nearly 30 million small businesses in the US, and 14% to 17% of them seek some form of external financing to fuel growth. Rural communities place a lot of value on interpersonal connections—one of which is the relationship between banker and business owner. In cities, you’ll find the branches of national bank chains on virtually every other city block. But in rural areas, local, independent banks are much more common, and are often the first resource for small business owners in need of financing. More than half of the banks in rural zip codes are small banks (meaning those with less than $10 billion in deposits). Bankers who work in large national bank branches have to comply with regulations from the parent branch. Local, independent banks have simple organizational structures and more freedom in the types of borrowers that they’ll lend to. 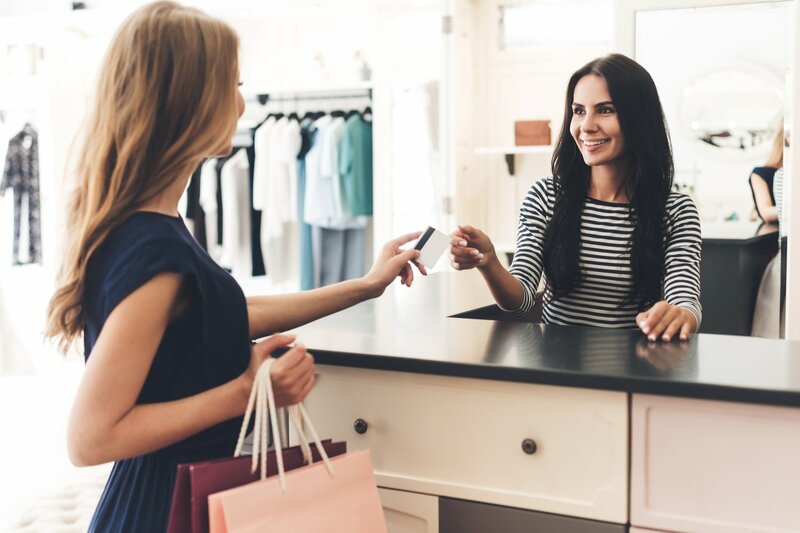 Small banks do look at traditional loan criteria such as credit score, but they also value “soft data” about the business, like owner’s personal connections and reputation. Since these banks have more leeway in business loan underwriting, the applicants were more successful at obtaining funding. Although community bankers pay more attention to “soft data,” they also check traditional underwriting criteria like the owner’s personal credit score and the business’s history and finances. Rural businesses had better credit profiles on average than urban businesses. And 71% of rural businesses had low credit risk, compared to just 64% of urban businesses. Part of the reason for this: Rural businesses are older. 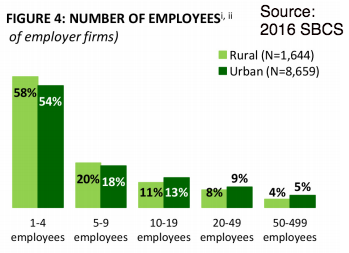 46% of urban businesses in the survey were over 10 years old, compared to 51% of rural businesses. In addition, 47% of rural businesses had an owner older than 55 years old, versus 41% of urban businesses. The older the business, the more likely your business is to build up commercial credit. And the older the business owner, the more likely they are to have a good personal credit score, which is key to getting approved for a business loan. Surprisingly, loan amounts didn’t vary much between urban and rural areas. Both in urban and rural settings, the majority of businesses that applied for financing sought $100,000 or less. Indirectly, this might have impacted urban business owners’ access to loans because the large, national banks they are likely to approach tend to avoid small dollar loans—these loans just aren’t profitable enough for them. 3. Rural businesses prefer term loans over other types of financing. Many types of business loans are available to small business owners. The best choice for your business depends on lots of factors, like how much funding you need, what you’re planning to use the funds for, and your overall creditworthiness. In the Small Business Credit Survey, business owners in rural communities expressed a clear preference for bank term loans over other types of loans. In contrast, business owners in urban areas favored business lines of credit and business credit cards. As the Figure 17 graph above shows, urban business owners also had a 10% preference for online business loans. These preferences suggest that rural and urban businesses use financing in different ways. Term loans cover long-term business needs, such as expansion or business renovation, as well as recurring expenses. On the other hand, business lines of credit, credit cards, and quick online business loans are well suited for emergency expenses and seizing unexpected business opportunities. Rural businesses are older and grow at a slower rate, so they have more predictable long-term business expenses. Bank term loans are ideal in these situations. Urban businesses scale and change more dynamically, and have access to more lucrative projects, so they are more in need of revolving credit facilities. We started out as corn farmers, kind of tough in NY, LA, or SF! I was trained as a CPA, so we are very cautious with money. For the initial startup costs, we used a combination of bank financing, SBA funding, Iowa state funding, and local utility funding. We built Cedar Ridge very slowly (starting in 2002) and kept our day jobs, personally guaranteeing all the loans. And we do most things on a cash basis. I’m not sure we could do that if we had the overhead expenses of a large city to contend with. Government agencies and nonprofits are important sources of funding for small businesses like Quint’s. The Iowa Economic Development Authority Board awarded Cedar Ridge Distillery $86,250 in tax credits and refunds for expansion and job creation. Many states offer grants, tax credits, and other incentives to businesses that set up shop and create jobs in rural areas. At the federal level, rural businesses can also access business loans through the US Department of Agriculture (USDA). The data show that rural businesses are financially strong and have the means to grow when they want to expand. But there are also challenges that arise from being far from an urban center. Most of these challenges have to do with less access to people, like employees and professional mentors, who can help your business grow. Small businesses in rural towns are, as you might expect, smaller in terms of revenue size and number of employees. Finding talent can be challenging in a rural area, simply because there are fewer people to choose from, and you might not discover someone with the skill set or experience that you are seeking. Recruiting is challenging in a small town. It can be harder to find the right people to join our team, largely because the applicant pool is so much smaller. However, once we find someone who fits well within our company dynamic, retention is easier. In my experience, individuals who live in rural areas are more loyal to their jobs and to the business they work for. They are less likely to job hop. Keep in mind that having fewer employees or lower revenues aren’t necessarily negative things—your expectations matter. If you just want to pursue a passion and make a reasonable amount of money, you don’t need to make millions of dollars in revenue. But, if your goals are to become a big employer or to impact the economy, having that kind of impact is tougher in a rural setting. Going hand in hand with their smaller sizes, rural businesses also have slower growth rates. In the survey, owners of rural businesses experienced lower revenue and employment growth over the preceding one year and predicted lower revenue and employment growth in the coming year. So, achieving your business’s goals could take longer in a rural area. Another common challenge for small businesses in rural communities is finding a critical mass of other businesses in the same industry. A like-minded community of business owners can help you find professional mentors, form contacts with prospective clients, and establish connections with potential business partners. My biggest problem was getting help starting my business. To network and grow, I have to travel about 45 minutes (or more) in all directions. I do believe with access to better business help, I’d have been up and running much faster. Sure, there are countless online business coaching resources. I’ve joined a few—and they are great cheerleaders for confidence, courage, and business basics. But getting marketing help and building personal relationships is HARD. I do believe it’s easier to find more like-minded people when you are in a greater population density. To some extent, professional networking sites like LinkedIn can help you meet others in your industry no matter where your business is. But, you do have to try harder to build connections when you’re farther from a city. Rural small businesses are smaller and grow more slowly than urban small businesses. However, they are more likely to be profitable and run a lean operation with fewer expenses. Small business owners in rural areas are on average more successful in obtaining business loans. 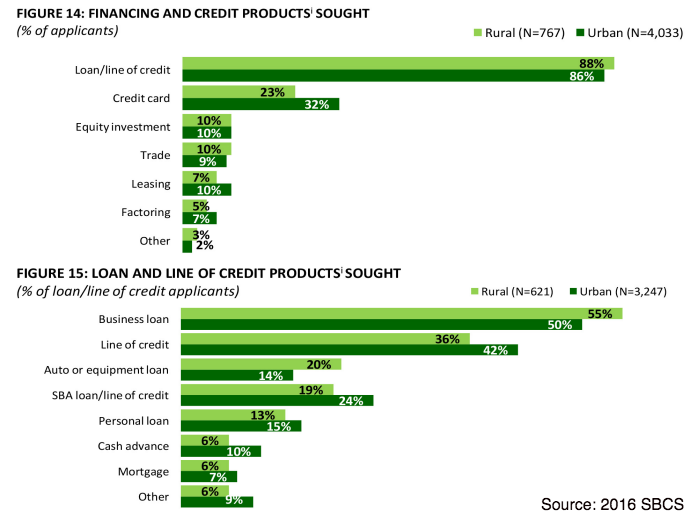 Small business owners in rural areas favor term loans from small banks, whereas urban business owners favor business lines of credit, business credit cards, and online loans. Location is important for any business, but ultimately, the most important drivers of a business’s success are the intangibles. Your drive, determination, and creativity matter most in taking your small business to the next level.